Double Dish™ Large is an enhanced version of our original Double Dish™ serving bowl design. 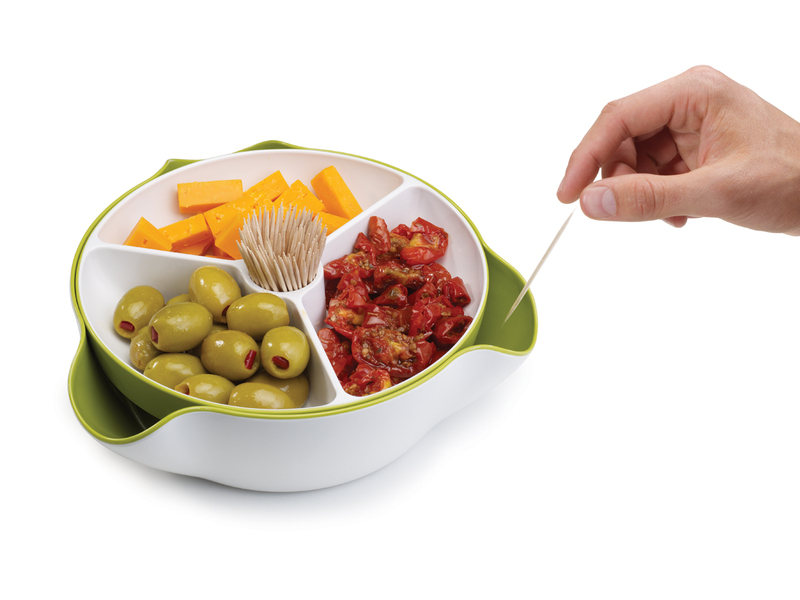 Its bigger size provides several compartments for serving a variety of snacks and foods and a convenient area for storing cocktail sticks or toothpicks. Its unique design offers the same benefits as Double Dish™, with its integrated collection bowl beneath for disposing of unsightly food waste.